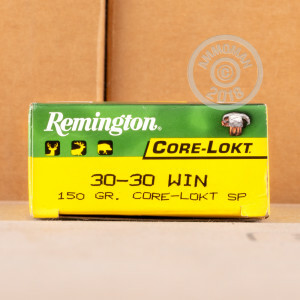 This 30-30 soft point ammunition for deer and other small to midsize game features a 150 grain version of the Core-Lokt bullet, a classic design known for its weight retention and reliable performance. 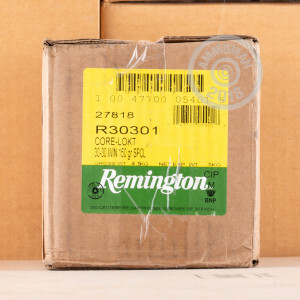 The Core-Lokt bullet's soft point is particularly well-adapted to hunting, enabling the projectile to expand and make quick, clean kills without fragmenting and destroying meat. 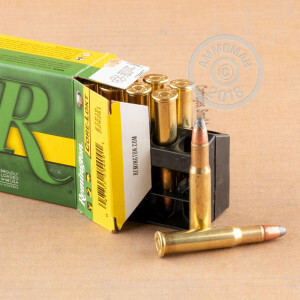 These cartridges come packed in cases of 200 (10 boxes of 20) and use non-corrosive Boxer primers and brass cases. Be sure to take advantage of AmmoMan.com's free shipping promotion, which applies to all orders over $99!